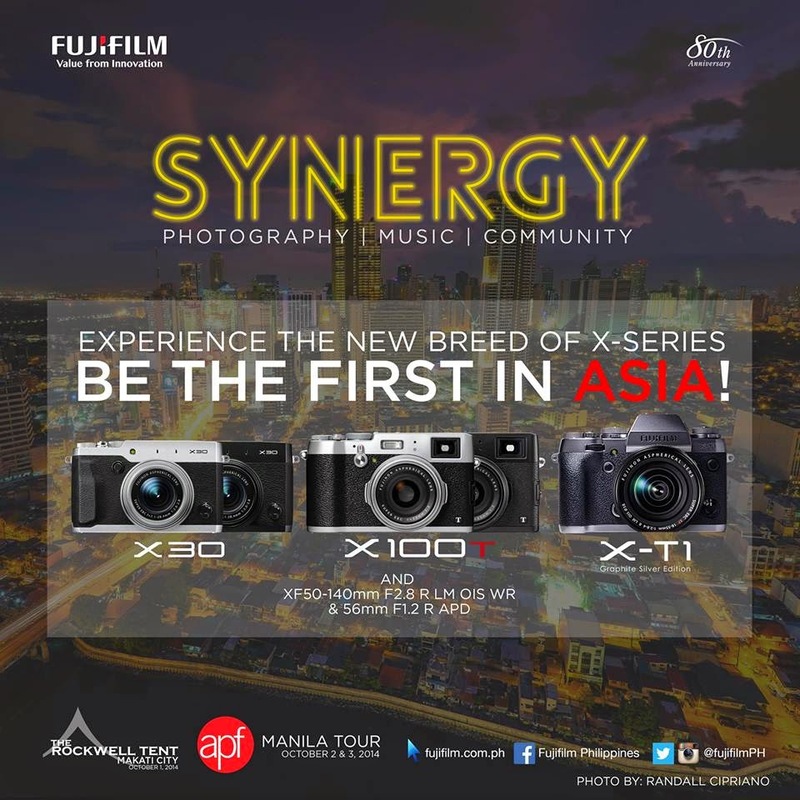 Fujifilm Philippines proudly presents "Synergy: Photography, Music and Community" happening on October 1, 2014 (7-11pm) at Rockwell Tent in Makati City. This will be the first ever launch in Asia of the new breed of the Fujifilm X-series cameras and lenses: the X100T, X-T1 Graphite Silver Edition and X30 cameras and the XF50-140mm F2.8 R LM OIS WR and 56mm F1.2 R APD lenses. There will be an open forum with the X-Photographers namely: Rommel Bundalian, Randall Cipriano, Niko Villegas, Jan Gonzales and Lito Sy. The event will also have live performances by Kamikazee, Eevee, Letter Day Story and Lucille. Attendees will get a chance to win two units of the X30 and other Fujifilm digital and Instax cameras. Large format Aluminum and Silver Plated prints will also be raffled off. The launch is open to all professional photographers and hobbyists. To participate, registration is required at http://synergyph.eventbrite.com for the October 1 grand launch. Admission is FREE. There will also be an APF (Artphotofeature) Manila tour masterclass and photo walk on October 2 and 3, headed by world-renowned photographers Vineet and Rohit Vohra. 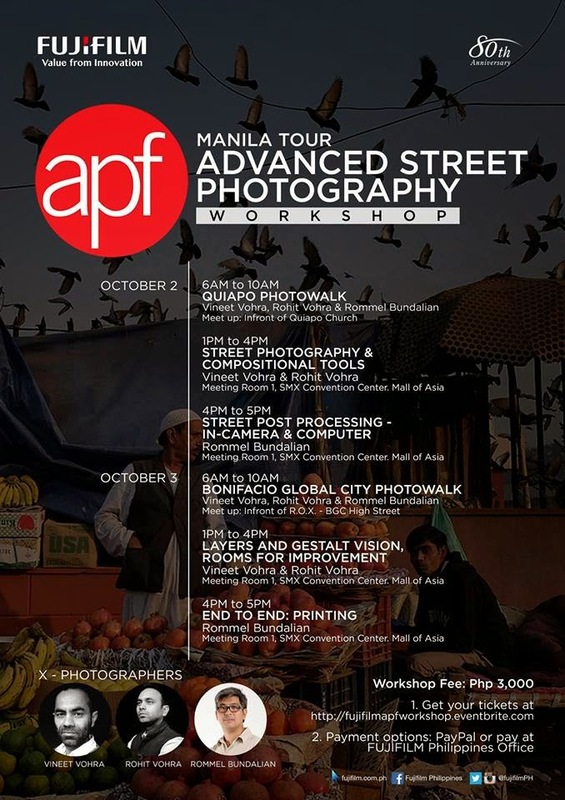 To participate, register at http://fujifilmapfworkshop.eventbrite.com for the APF masterclass and photowalk. Fee is Php3,000 for the two-day masterclass session.